History: This cemetery was originally on the farm of Dennison Barnes, later known as the Bauer Farm. 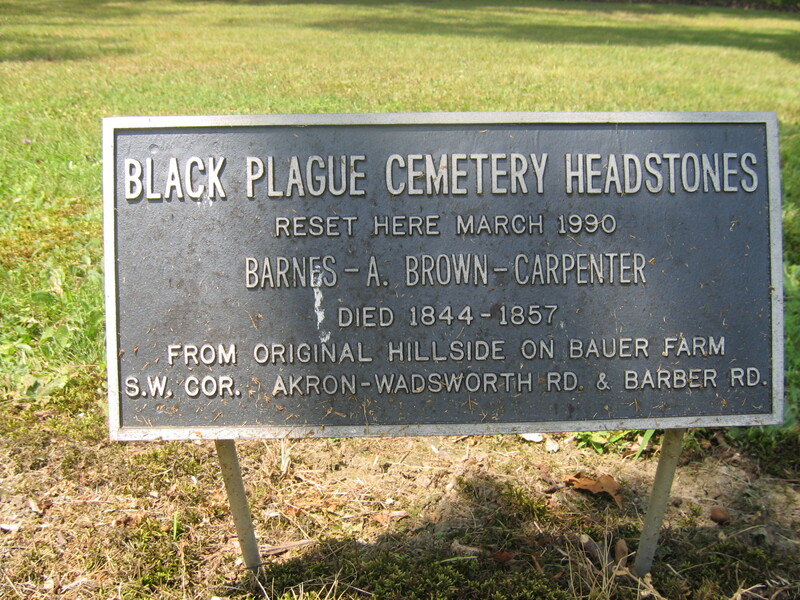 The origin of the cemetery's name is unknown; however; it is possible that an epidemic of the "black plague", also known as diphtheria or "black tongue fever" may have caused the deaths of at least some of the those buried here, resulting in its name. 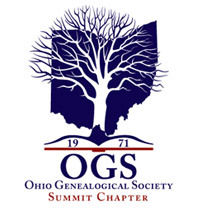 At the time Volume 1 of the Cemeteries of Summit County was published in 1978, it was noted that several headstones were observed at the bottom of an inaccessible ravine. It is possible some of these were dislodged when the nearby Barberton water tower was built in the 1930s; others were probably pushed over by vandals. In 1989, the Norton Cemetery Board received permission from the Bauer family to remove the four largest headstones still found in the cemetery and reset them in the Norton Center Cemetery. 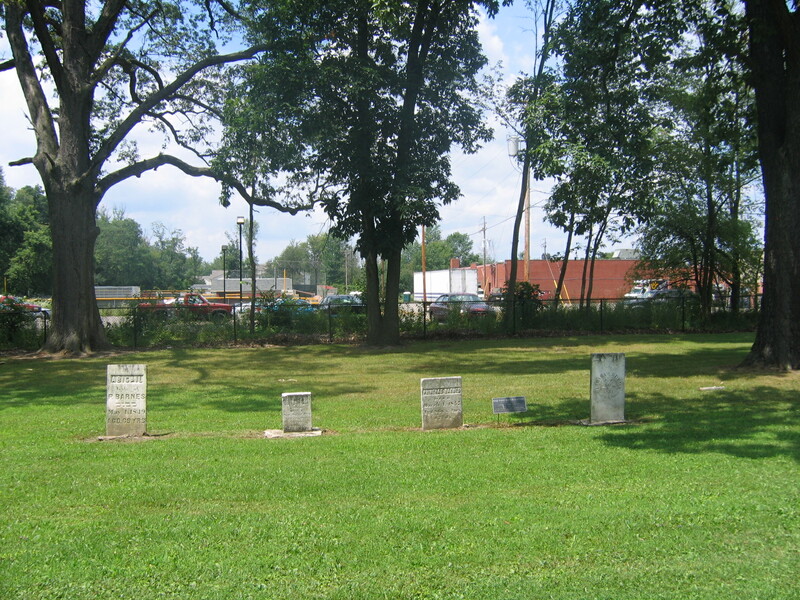 In May 1990 a rededication cemetery was held at Norton Center Cemetery for descendants of the three families whose stones had been moved: Barnes, Brown, and Carpenter. The known inscriptions were published in our volume Lest We Forget in 2007 as well as here on the website.